Atlanta Motor Speedway presented Chase Elliott with one final lucky charm Friday. Elliott, back in the No. 9 car his father, Bill, made famous, was handed a University of Georgia football jersey with his name and number on the back. The 22-year-old driver, an avowed Bulldogs fan, broke into a wide grin in the moment. AMS recreated a 1983 campaign that brought good luck to Chase's Hall-of-Fame dad. Bill Elliott finished second eight times before a similar campaign and notched his first career NASCAR Cup Series victory soon after it. The public was invited to send in anything that would bring luck to the Dawsonville native. "It was a nice gesture more than anything," Elliott said. "Man, there were a lot of teddy bears I felt like sent in. A lot of St. Patrick's Day charm items sent in. "I appreciate everyone's support for jumping on board and being willing to support something like that. It's pretty cool." Elliott has two top-10 finishes in his two Monster Energy Cup Series starts at Atlanta. He was eighth in 2016 and fifth last year. He has 78 starts in NASCAR's top series, fewer than his dad had before notching a win (115). Elliott is among the Chevy drivers debuting the Camaro ZL1 at Atlanta. Chevy is the most successful manufacturer at AMS with 40 wins. "I mean I hope it goes really well," Elliott said. "First off, I don't think it is really fair for us to show up here at Atlanta and everybody get a judgment on where we stack up here. This is our first go at it as well as everybody else's. We saw other manufacturers come here last year being their first week and didn't necessarily fire off the best, but were the best before it was over with. I think you have to give it a little bit of time." The body changes mean differences in the wind tunnel and computer simulations. "I hope we hit it this weekend, don't get me wrong," Elliott said. "I'm not making an excuse. Either it will be good or it won't, but I think we have to work through some of the differences. We have seen some of those differences today. No reason why we can't fix it, though, and try to get it as good as we can and hopefully better than the rest." But AMS is always a track Elliott where has enjoyed racing. "This is a track where you can have your car driving good and you might be able to make up a deficit that you might be fighting somewhere else or somebody have an advantage over you," he said. "I just think having the ability to go out and practice and your feedback is worth a little more here. I think that a lot of guys feel that way. "As you run a race, how you drive your car at the first half of the run can affect how your performance is going to be in the second half of the run. In a lot of places, that's not the case either. So, it's just a fun place to come. I think anywhere that you run three or four laps and the lap times have fallen off significantly like they are here all the time, I think that makes it fun. It makes it fun from a strategy standpoint, it makes it fun for the racers." Martin Truex, the defending Monster Energy NASCAR Cup Series champion, is one of the best at 1.5-mile tracks like AMS. Seven of his eight wins came at such tracks, although Atlanta was not one of those. Truex was eighth at last year's Folds of Honor QuikTrip 500. "This is a good first chance for us to see where we stack up against the competition and how we feel as compared to years past," Truex said. "This is a great race track. It's a lot of fun to race here. I always look forward to it." The track was set to be repaved last year, but officials responded to a collective outcry from drivers to reconsider. After reevaluating the surface, AMS opted to patch the 1.54-mile oval and delay a full resurfacing. "There's not a driver in the garage that wants this track to get repaved," Truex said. "As far as racing goes and being a driver, this place is so fun and so challenging, I don't think there's anyone that doesn't love it." Truex and his Denver-based team aren't taking anything for granted despite the title and the success at 1.5-mile tracks. "We're trying to be open-minded, not get caught by surprise," he said. "A lot of things have changed in the offseason. The inspection process is one of them. "But it's a new year. Everybody has worked all winter to try to come back and go after a championship. So you've got to be driven. You've got to work hard. You can't take any of it for granted — because it slip right out from under you." 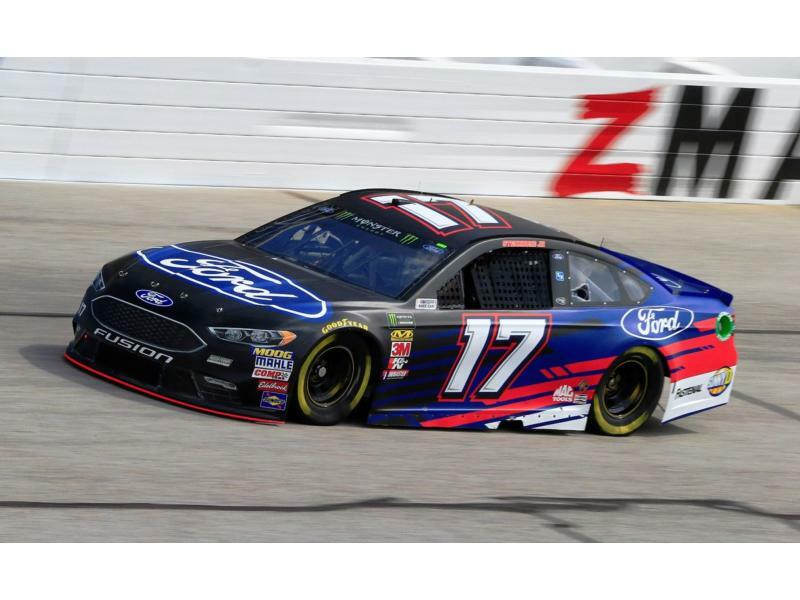 Ricky Stenhouse, Jr. put down the fastest lap in the first Monster Energy Cup Series practice Friday with a time of 29.745 seconds and a speed of 186.384 mph. Rookie Christopher Bell led the first Xfinity Series practice. The No. 20 went around in 31.086 (178.447 mph). Justin Haley had the top time (31.141) and speed (178.02) for the Camping World Truck Series first practice session Friday. 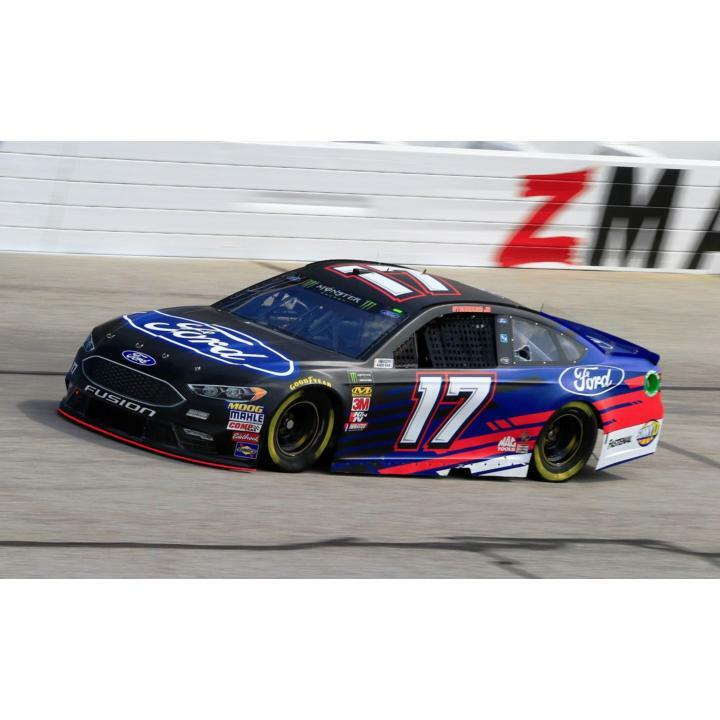 Times were slower than in 2017, primarily for the Xfinity cars, but temperatures were much higher, which Atlanta native Brandon Jones said could have played a part in the disparity. "It could be for sure," Jones said. "Obviously there are a lot of factors that affect that. We've got a little bit less downforce and things like that. We've got our composite body as well so maybe that could be a lot of the slower speeds. But as far as driving, it's been total opposite of what I've been used to in the past so I'm still trying to adapt and learn these cars a little bit." Sunday will be David Ragan's 400th start in NASCAR's top series. The 32-year-old Georgia native grew up racing at AMS and hasn't missed a race at the elite level of stock car racing in 11 consecutive years. It's the first time in 15 years that an Elliott is driving the iconic No. 9 in the Cup Series at Atlanta. AMS has held more 500-mile races than any NASCAR track. Sunday's Folds of Honor QuikTrip 500 is the 103rd and 96th consecutive for the Hampton venue. Four of the five top finishers in last week's Daytona 500 — Austin Dillon, Darrell Wallace Jr., Joey Logano and Chris Buescher — are alumni of Atlanta Motor Speedway's Thursday Thunder.